Far infrared therapy research revealed that the use of FIR can benefit the body in several ways. Through advancement in scientific knowledge and technology, new ways have been discovered in order to easily use FIR for body healing. 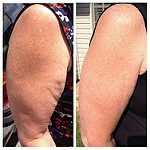 Lipedema in the upper arms can happen. While the initial symptoms are not life-threatening, this condition can lead to more serious complications when left unmanaged. Fat deposits on legs are one of those things that many women dread to have. They’re not good to look at and in some cases, can affect one’s mobility and overall quality of life. These fat deposits can be caused by lipedema and lipoma. There are ways though to get rid of them. Lipedema is a poorly understood disease. It needs immediate treatment even if it’s still lipedema stage 1 as it can lead to complications like lipo-lymphedema.